You’re constantly on the go and need the easiest possible solution to meet your self-storage needs. 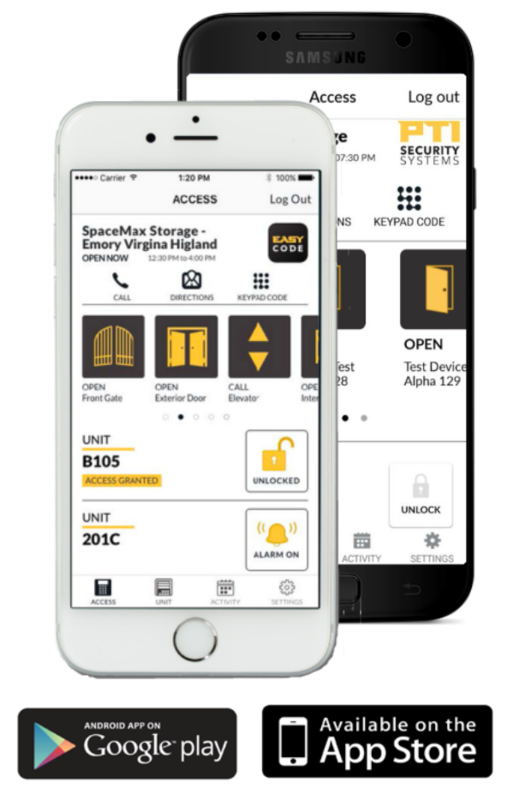 Fortunately for you, your self-storage facility provides tenants with EasyCode, the most advanced access-control, security, and monitoring technology in the self-storage industry. 1-CLICK ACCESS >> Open facility gates from your phone. 1-CLICK PAYMENTS >> Submit your rental payments to a mobile-friendly website. REAL-TIME ALERTS >> Receive notifications when any activity related to your unit(s) takes place at the facility. NO MORE GATE CARD TO REMEMBER >> No more getting out of the car at the gate and no gate card to lose!